In the sixth edition of “America’s 100 Best Places to Retire” by Annette Fuller, eighteen Florida cities were selected as top retirement choices. SW Florida cities making the list are Cape Coral, Naples and Punta Gorda. Each year the guidebook names the United States’ most appealing retirement towns. 11 months are spent researching over 800 of the country’s cities. The final tally includes locations in 35 states with a whopping 18 Florida communities. Both Cape Coral and Naples were chosen among the "Best Main Street Towns," and Cape Coral has been called the last place for people to have access to affordable waterfront living. Yet another reason to move down here to Cape Coral -- this city is a great place to live. We love helping people buy and sell homes in Cape Coral and other SWFL cities. We have more than 75 combined years of experience! Ask us anything about the area! 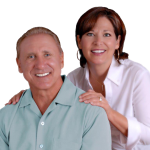 If you want to buy a home in Cape Coral, let us, Sue and Tom Demogenes, help you find your dream home in this area. We have many listings to share with you. To search properties in Cape Coral or to contact us, visit our Cape Coral waterfront homes contact page or call 239-357-6118.